‘iridescence’ is a tearful cataloging of the lows of their journey. Everyone should experience ego death at least once a year. If not for the purpose of growing and increasing their empathy, then at the very least to say they’ve done something with themselves. 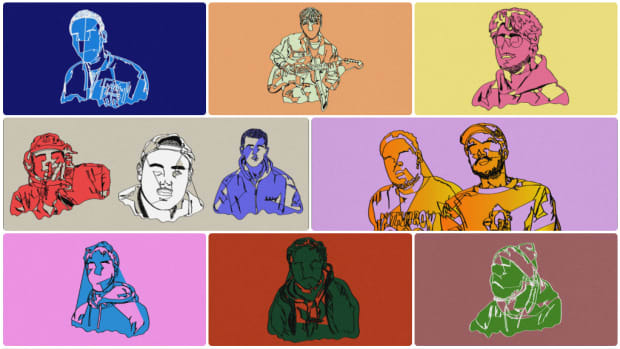 In the case of now-prolific boyband BROCKHAMPTON, their collective ego death came by way of sexual misconduct and assault allegations leveled against former member Ameer Vann. 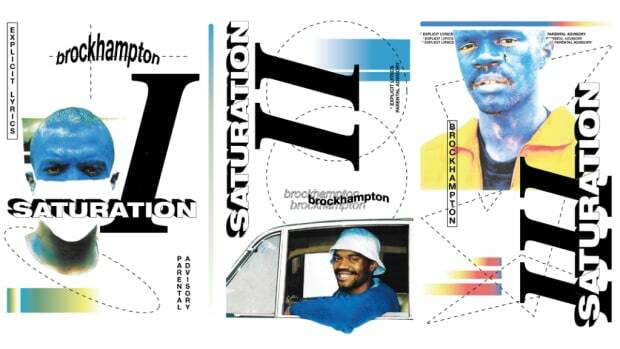 In the public forum, the group responded to the allegations well: they removed Vann, issued a statement, and delivered a public apology by way of a televised performance of “TONYA.” Essentially absolved in the public eye, pressing play on their fourth studio album iridescence—their first under RCA Records—it is clear that the cloud cast by Ameer’s actions followed the boyband all the way to the final masters. Recorded in just under two weeks at Abbey Road in London, iridescence is a clear and purposeful departure from everything we understood BROCKHAMPTON to be from their SATURATION trilogy. This is the soundtrack to their forced-upon ego death. 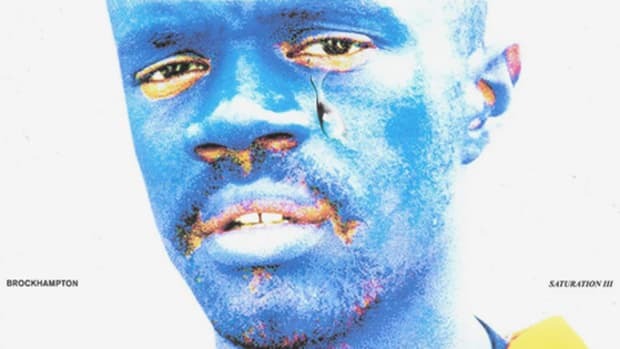 Four albums in, an artistic pivot is necessary, but it seems there was more at stake for BROCKHAMPTON as people when we regard that their artistic growth would also be a growth away from the group they were with Ameer. There is a clear anxiety present from the moment we press play on the ballooning “NEW ORLEANS.” Beneath the catchy drone of the production, we hear a desperation to be different, to prove that BROCKHAMPTON can press on anew. In many ways, their penchant for difference works. 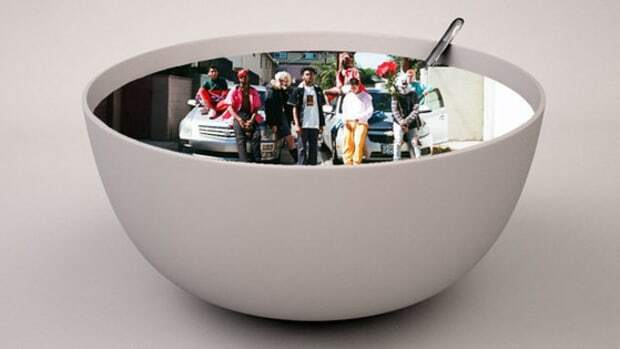 At the least, it makes the band more approachable and reminds us that BROCKHAMPTON are adept at capitalizing on contemporary sounds and thrilling the ear without much demand from the listener. Looking at the track titles, we see that the boys have abandoned many strict rules of their aesthetic past. Song titles are just that, with no weight on character count. Across their tumultuous journey, it seems they have come away with the wisdom that not every choice has to be so precious. That revelation belies an earned freedom that informs the turbulent energy of iridescence. iridescence is a suspended and insulated moment for BROCKHAMPTON. The disruptive static of their new sonic palette proves to be an apt home for the band’s love of Auto-Tune and taste for breathy deliveries. 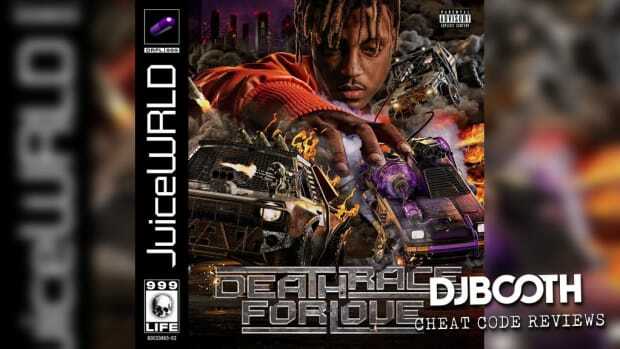 “THUG LIFE” and “DISTRICT” are an evolution in action, employing the base of the BROCKHAMPTON aesthetic to invite listeners into their chaotic new world. The boys flirt with noise and submerging bass on “VIVID,” but the density is cut by the steady-leaning romance of “SOMETHING ABOUT HIM.” “HONEY” is boyband-catchy, as is the downcast pitching and computer-gut-traversing “DISTRICT.” Sonically, the album sputters, but now more than ever, each member is on the same wavelength in terms of working towards a balance. Yet, far and away, Joba is the star of this record. The young man deserves an award for most improved, ballistic, and elastic rap threat. With his energy and distinct voice, Joba stole the show, but more importantly, he held the weight of the record’s soul on his shoulders. His frenetic delivery and deranged cadences embody the grotesque and wrenching quality of an untimely ego death. Terror, anxiety, aimlessness—it all festers within Joba’s standout vocal performances. 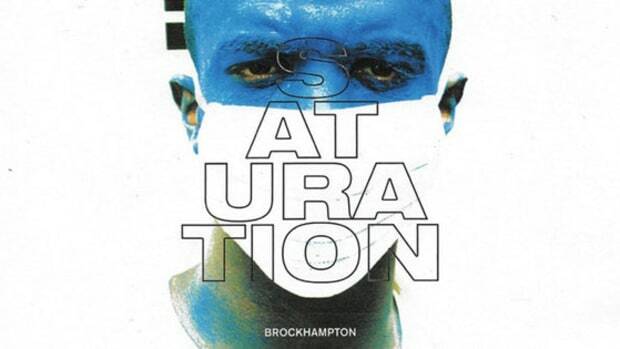 Two minutes into the first track, Joba spells the secret of the album out for us: BROCKHAMPTON is scared to bits. While the central theme of iridescence permeates a majority of Joba’s verses, it becomes most apparent during the “LOOPHOLE” interlude wherein the boys don’t bemoan fame, they fear it. Kevin Abstract’s subsequently lashing out on “TAPE” (“I hate writers, I hate tweets, I hate journalists”) immediately emphasizes the point. Suddenly, the album’s striking turn in production style takes on new meaning. The oft nettling and sporadic quality of the music reveals a general anxiety over hollowness and impersonality. For every space created on a song, there is another grating sound to overwhelm the silence. Take “BERLIN,” which closes destructively and thunderously, and how it becomes the heartbeat of an album now openly discussing how the boys are scared their success will be empty—or worse, will empty them of their humanity. As their woes have jarred them into a creative focus, the pacing is more effective on iridescence than on any standalone SATURATION record. Where the anger on SATURATION’s “HEAT” felt unearned, Joba’s explosive “J’OUVERT” verse is a well-placed moment of cathartic relief. “SAN MARCOS” is BROCKHAMPTON’s best ballad to date, certainly the one that will induce the most feel-good swaying when performed live. If “BERLIN” is the heartbeat of the album, “SAN MARCOS” is the sigh of relief once the panic subsides and we’ve collectively arrived at what it is we want—yet we’re still so far from understanding how to get it. The wisps of desperation, then, do not bog down the track but rather evidence themselves in the sequencing, as the cut leads into the achy “TONYA.” BROCKHAMPTON have made it, and yet they have a ways to go. Their latest album is a tearful cataloging of the lows of their journey. 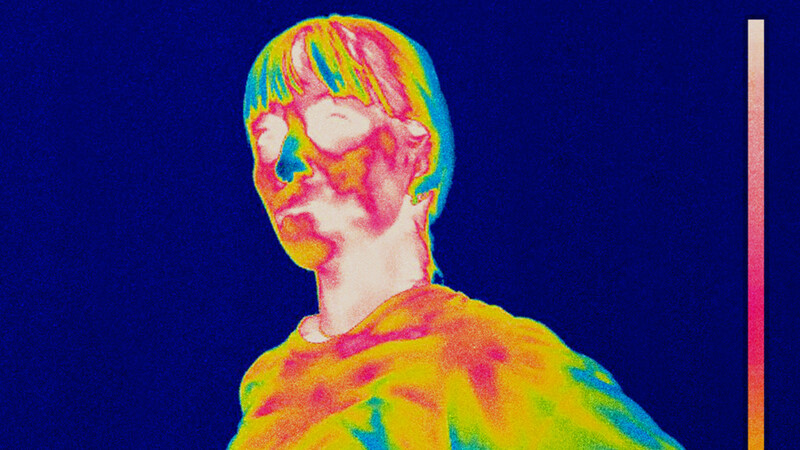 On the whole, iridescence boasts more humility than the SATURATION trilogy, if only because the band seems to have tumbled finally into the same telepathic headspace. Where the boys were once speeding down parallel lanes to the same destination, they’ve now packed into the same car and the ride to success has become all the more familial. Yet, with that comes some dissolution of identity. 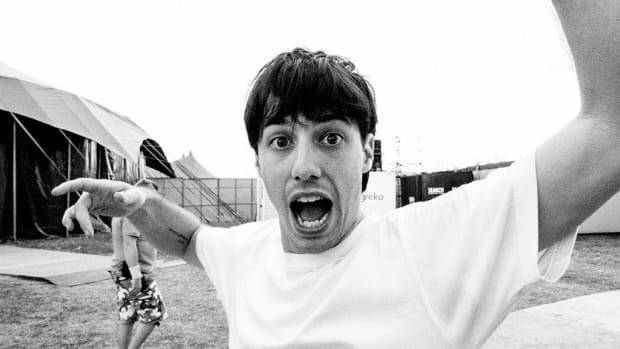 Matt Champion stunned on “DISTRICT,” “VIVID,” and “SAN MARCOS,” but felt absent for most of the album. Kevin Abstract, too, felt mostly absent on wax—save for “TAPE” and a verse of the year contender on “WEIGHT”—but his role as ringleader cannot be understated. With that, iridescence feels more like a thesis statement or mood board for a creative renaissance than it does a completed work. There seems to be an awareness of the forthcoming critiques on “HONEY,” where the breakdown is a catchy imperative: “Whatchu want, whatchu want, emotion?” The answer, of course, is “yes,” but more specifically, the answer is clear artistic direction and purpose. BROCKHAMPTON wants to make it apparent that the boyband has changed, and that much is clear. They want to impart that fame and fallout have worn them anew, and that too is clear and well delivered. Without the body and novelty of the SATURATION trilogy, and with their ambition replaced by their anxiety, we are left with a well-intentioned but overall spotty offering. iridescence is a very tense, to the point of manic, record. It is the soundtrack to a weighty ego death and the first morning after bad news breaks, encumbered by the knot in your chest signifying that this is the present and there is no going back. This is why the pounding of “BERLIN” reappears to close the album on “FABRIC.” The last words we hear on the record are “I feel you,” which is decidedly the BROCKHAMPTON ethos. The band has heard us, and now we are ready to hear them fully come into their own. iridescence is both the shock of the present and the demand of a future. This is not BROCKHAMPTON’s full rebirth, but they are on the cusp. Led off by heartfelt strings and a cutting verse from Kevin Abstract, “WEIGHT” is a masterclass in humility. Where there is a bittersweet tinge to most nostalgic tracks, “WEIGHT” brings with it the chill of a past far out of reach, making it one of the most touching moments on the album. “DISTRICT” is the best use of the manic energy of iridescence. The rattle and rancor of the track harken back to SATURATION III’s “BOOGIE,” with an emphasis of down-pitched vocals. 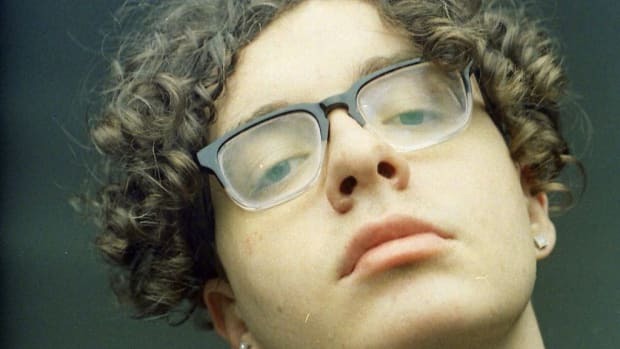 “DISTRICT” is a strung-out, sad-boy banger, a genre the boyband should lean into without question. BROCKHAMPTON may never divvy and make solo albums, so “SAN MARCOS” is the closest we will get to a realized American Boyfriend sequel, and for that reason alone, we should cherish this high school football game-era ballad.